This Lou DesRosiers masterpiece on coveted Upper Straits Lake is one of Oakland Countys most stunning estates. Over 11,800 sq ft of exquisitely finished living space, including the finished walkout lower level. This meticulously crafted home sits on one of the most premier lots on the lake w/ sunset views, over $250k+ in renovations, beautiful spaces for entertaining, an indoor lap pool, home automation, elevator & incredible attention to detail throughout. 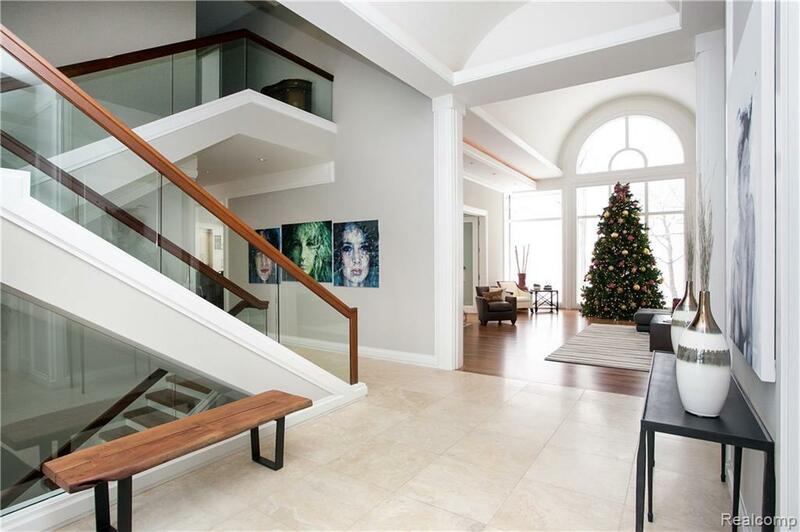 Enter the grand foyer leading into the sun drenched great room that features floor to ceiling windows, a double sided fireplace & beautiful hardwood floors. The brand new gourmet kitchen offers 2 oversized islands & Wolf appliances. A formal dining room, luxurious entry level master suite, well sized au-pair/in-law suite & a sophisticated wood paneled study are just a few of the magnificent features of this grand estate. Truly a flawless residence, designed for entertaining & relaxation on private, all-sports Upper Straits Lake.